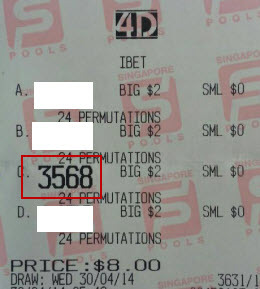 Win4D Advance Hot System perdition numbers hits many top prizes. Actually many Win4D Users benefitted from using this. This week we received a winning ticket from a very happy User. He just want to share his joy of winning to all members here. 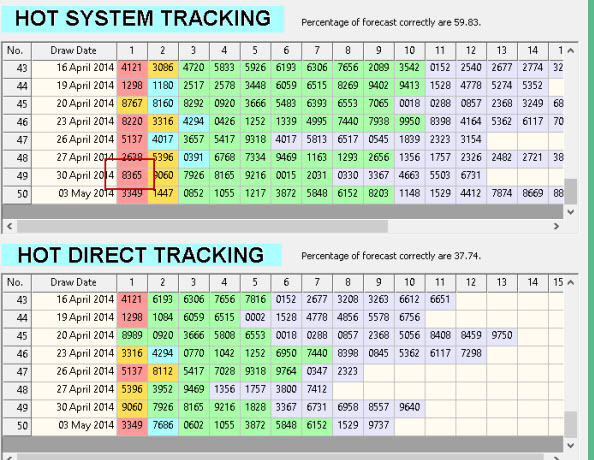 Below is the captured image of the software perdition tracking on the past few draws. To know more about Win4D Advance, call Hai Tong 92300837 for an appointment.